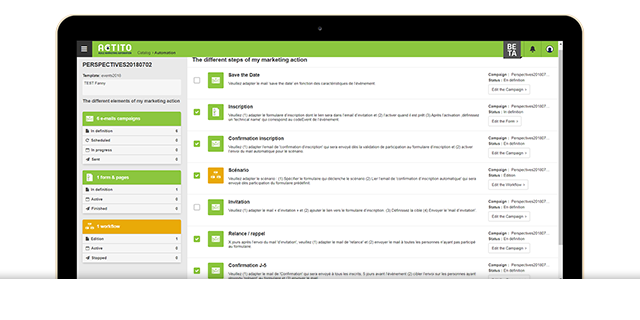 ACTITO just released the next edition of their Agile Marketing Automation Platform with some new functionality. The new modules including Marketing Actions, Datamart Management and a partnership with BLENDR.IO are developped to “put some extra spice into your productivity” – and save time. 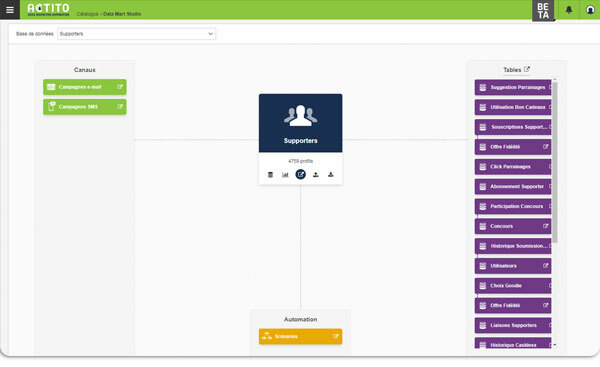 Jonathan Wuurman – the in-house Marketing Automation Evangelist, shows the demo of the new ACTITO functionality in the webinar replay below. Marketing is about so much more than an email or form submission. It’s about storytelling, multi-channel engagement and using the dynamics of the customer journey to design compelling campaigns. It is like a cockpit for modern marketers that want to centralize everything in a single view from templates, to forms and flows. Nicely supported by a to-do list. A way to not forget any of the steps and do it on a simple way and start up that campaign. So you for instance do an online event, the Marketing Actions would include. Create emails for those who attended (and, of course, for those who didn’t). Including the linkage to merge all of these everything into the workflow, everything adjustable to your preferences. So from now on, you can manage all these things in one go. The intention to add more and more of these Marketing Actions based on customer requests. The Datamart Studio was launched in the fall of 2017, this functionality gives the marketing automation user direct access to all the stored data in ACTITO. It is included as a new entry point. Datamart Studio lets users visualize their entire data model and use it to do all the things marketers might like to do every day (if you are a complete data driven marketing geek of course, but well just assume that). Build and adapt tables, prepare scenarios, analyze or send e-mails from the datamart Studio as starting point. The addition of Datamart Management provides a simpler way to create custom tables from predefined templates, for instance for “Reps” or “offers and promotions” visualize and create the structure of custom tables and import and export them directly through the interface. The integration / partnership with Blendr.io gives a new option for connecting all your data sources together. For instance connect the CRM and old spreadsheets to ACTITO, use data in a Facebook campaign and then crunching the numbers in Google Studio. Blendr allows to “blend” data from all marketing and sales tools. With the help of a template from a range of Data Blends, or marketers can create their own to synchronize data, orchestrate data flows, enrich your data. You can visualize and share your Data Blends, making it reporting and dashboarding. 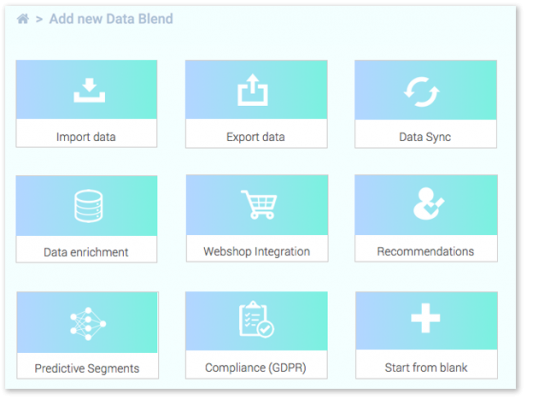 The integration has a strong focus on GDPR compliance as for instance you can use the Blendr Data Subject Dashboard to access, correct and delete information about your data subjects (clients, prospects, employees). Something that is pretty useful feature seeing the complexity and scattering of data these days. According to ACTITO – the integration has a strong focus on GDPR compliance. In the previous release ACTITO added a Digital Asset Management (DAM) functionality. With it, you can connect you cloud-based online image library to the marketing autmoation platform so you can browse the complete image and asset library when creating e-mails. ACTITO mentioned Cloudinary and Magento 2 as direct connections. Although some still marked as Beta, the new functionality shown is available within the ACTITO platform right now for current and new customers, without additional costs.